The pound has hit its highest level since Britain’s vote to leave the European Union in June 2016. The pound gained more than 0.2% to $1.437, beating a previous post-Brexit-vote high set in January, in early trading, before falling back. Dollar weakness after uncertainty about US trade policy has also been a contributory factor, traders said. The pound sank in June 2016 after the Brexit vote, hitting $1.2068 in January of last year. But since the beginning of 2017 it has started to recover. Why has the pound been recovering? 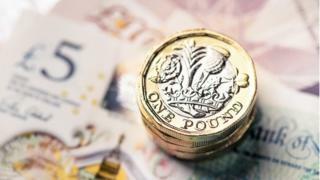 Simon Derrick, head of currency research at Bank of New York Mellon, said the main reasons for the pound’s comeback against the dollar since the start of 2017 had been expectations about UK rate rises and increasing optimism over the Brexit process. In November 2017 the Bank of England put up interest rates for the first time in 10 years, and in February the Bank hinted at an increased pace of rate hikes. Most analysts expect it to raise interest rates again in May. Is the rally likely to be sustained? There are certain elements about sterling’s performance that “make me scratch my head” Mr Derrick said. The market is pricing in the best possible outcome from Brexit, with an orderly transition, whereas “all sorts of different outcomes could emerge”, he said. For example, he said, it was still not clear how issues around the Northern Ireland border will be resolved. He added that the dollar’s weakness may also be short-lived.